Take a break from the salt water and try WATER-SKIING IN WAILUA RIVER. This river, which is approximately a quarter-mile wide near its mouth, is a great setting for powerboat sports. Usually smooth and warm, the river draws pros from around the world to rip up its glassy face on skis and wakeboards. 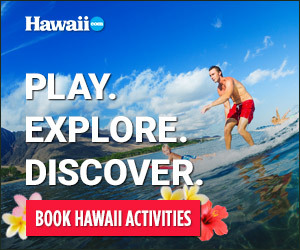 However, you don’t have to be a pro to have fun skiing the Wailua River water. This is a ride for anyone, with moderately priced tows and free rides for passengers who choose not to ski. The SKI BOAT COMPANY supplies all the equipment, as well as just about any water apparatus you can think of. For example, have you tried an air chair lately? Instruction, as well as professional high-speed navigation, is part of the deal.